New Amp Build Day -- AmpMaker Dual Six !! Discussion in 'Amps and Cabs' started by Sam Sherry, May 9, 2016. The AmpMaker Dual Six kit is top gearhead fun. AmpMaker's instructions are thorough and detailed, and the 78-point cold/warm/hot test & debug program is truly exceptional. Best of all was the rare finale -- build, test, hit the switch AND IT WORKED !!! 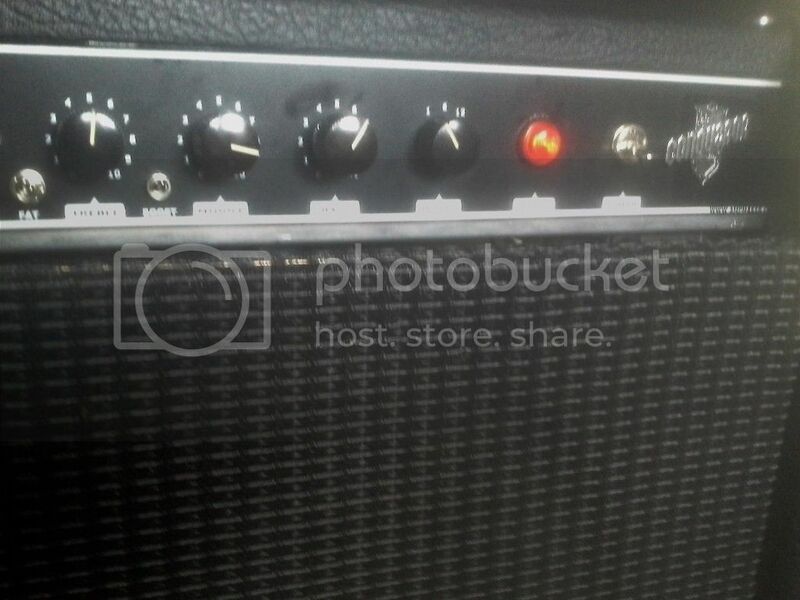 The resulting amp is a useful clean-focused unit with a wide variety of low-volume options. It's perfect for perfect for recording, office, teaching or roommates who don't like your playing. Cranked, you can play a jazz trio with the amp. MY BUILD: Just a couple of tweaks of course. The circuit is designed to run 6V6s at Class A spec but 6L6s get cold at 13 Watts per – 43% capacity. I installed a hefty toggle which engages parallel bias resisters so the grids see a more normal feed. 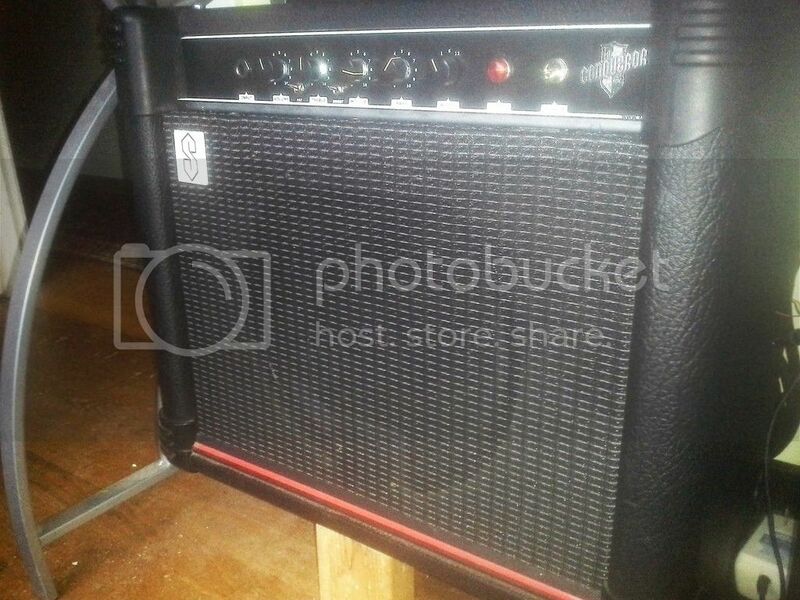 Engaged, the amp delivers 19+ Watts per side / 39 Watts total with 6L6s. I've also included a rotary Ohm selector switch. I spent extra time on squaring up components and wires in an effort to minimize background hum and it worked pretty well. In my room the hum gets covered by the sound of an air-filter in an adjacent room with the doors closed, or the sound of the toilet filling after it flushes in the bathroom across the hall. That's as good as I'm gonna get it – I declare victory! The cabinet and speaker are a Peavey Studio Pro husk from the dump. 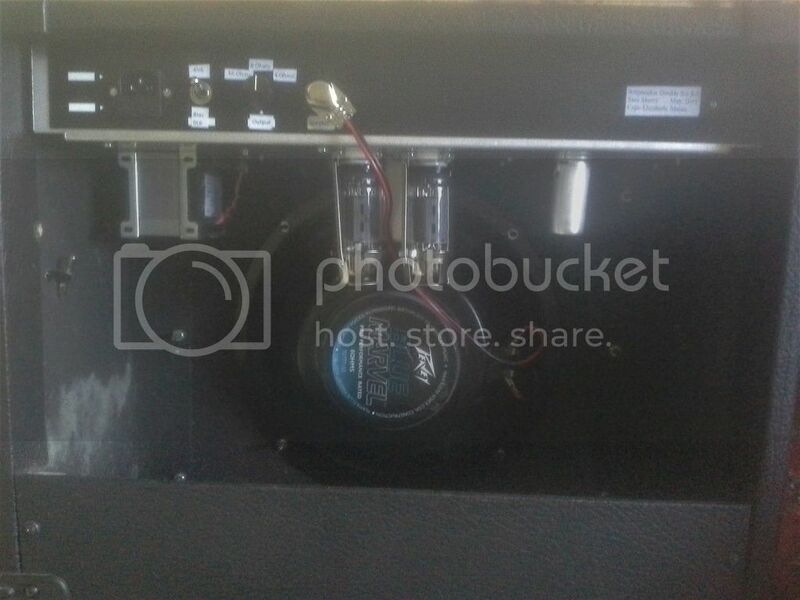 Its a decent Eminence / Peavey speaker and the cab fits the chassis. At least half of the “Dual Six” graphic was blocked so I covered it with static-cling vinyl and used another logo from the basement. OVERALL: I'm a gearhead. I love a project that soaks up twenty-five hours and then you hit the switch and BOOYAH!! 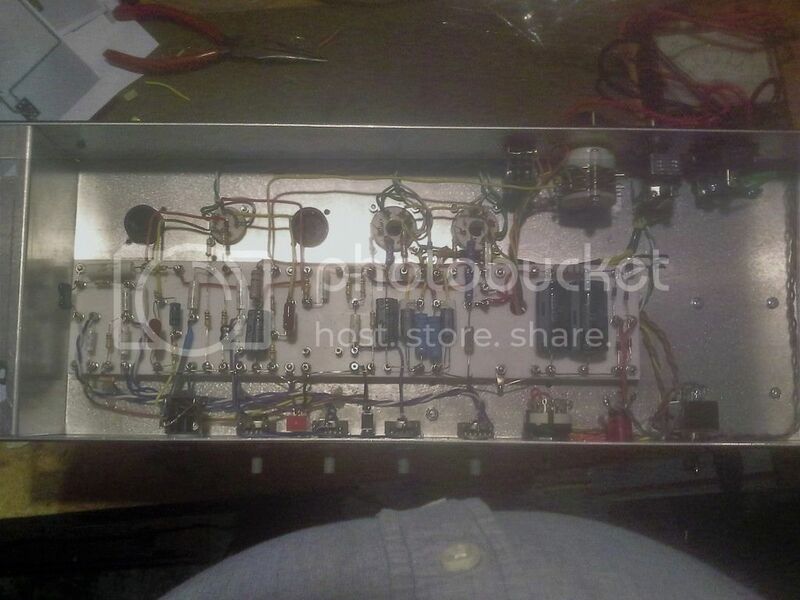 If you're looking for a quiet, clean amp kit with instructions that maximize the chance of success check this one out!